Jazz, how much are they paying you to be their cheerleader? Sorry for not wanting to see this game fail like you and many others. Keep my name outta your mouth, tool. It was such a sad moment when you left Spark leadership. So much heartbreak. Oh wait will my jetfire chips be converted to the new bot chips? Who wants to see the game fail? Nobody here wants to see it fail and the people who are being most vocal are also massive supporters. It needs paying customers, so what are people going to pay for now exactly? He just loves to shoot his mouth off, and generally has no idea what he’s actually talking about. It got old a long time ago. Kabam is being controlled by the master of puppets. 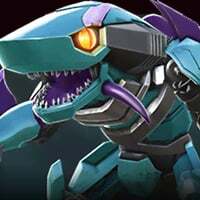 Will we be able to sell 5*bots for generic chips?? do Mods close thier own threads? I was just asking. Jeez. You know Megatronus will be boss. Be nice to have different bosses. 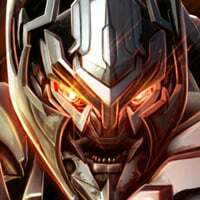 I'm just upset because this game has so much potential and this the only good transformers game that we have go ton since the cybertron games i have been a transformers fan since i was five and to see that kabam is giving up on this game is upsetting because why does marvel contest of champions get more love than this game each should share equal amount of love i just pray that kabam is planning something big because we all all transformers fans and we would all hate to see this game die i just really hope this game has really something big for us and that kabam is planning something. You're breaking forum rule no 10. @Kabam Miike will their be any new 20 ticket relics released or should we use relic tickets on gold relics aka 5 ticket items now? Already have all 20 ticket relics to date. Good point. I've got 25 tickets not knowing what to buy. Give us Gold Hound will ya? New bots being released at a pace I could keep up with was a Prime reason I enjoyed this game, and kept playing it, and even spent money on it, while I appreciate being able to go after particular bots, I have nearly all of them allready. 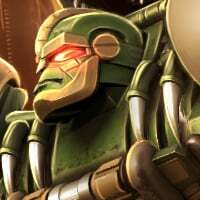 More of the same, even more powerfull, just isn’t worth it, especially not in a game that’s based on a franchise known for it’s depth of characters, to tease us with single members of teams, such as the Predacons, Insecticons, Dinobots is especially a low blow. Not a good move, if you want to keep people playing. You know, doing the thing that pays your bills. 2-Star Exclusive Bots when there was an exclusive 2-star bot raid event. We realize that switching to Generic Bot Chips has caused a stir. We want to reassure you that we are dedicated to this game, and to our Commanders. We have some great events coming up and have some great events and updates coming soon that we wanted to give you all a heads up on. 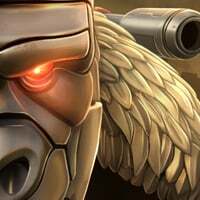 Spotlight Missions will continue, but have been “ReForged”! 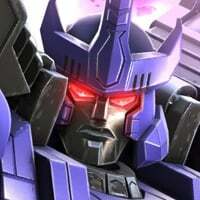 Dark Energon, pocket timelines, and universe shattering power have opened up a portal to the past. Starting this coming week, we’ll be going back and reliving classic Spotlight missions, though they have been re-tuned and feature our updated rewards and Expert/Master difficulties, allowing you to replay them like never before! We're working on buffing up the Arenas as a mainstay of the Fight, this will earn you more Rank and Milestone rewards. We’re very grateful for your continued support, and look forward to the future of the Fight with you all. Stay tuned for more information on updates in the future! Thanks @Kabam Miike personally that makes me feel a lot more optimistic. I hope Kabam knows this all comes from a place of love for your amazing product. While this is great, what we really want to know is if and when well get new bot to use again? Using the same ones will get stale and old pretty fast.